Snooker fans in Sheffield will have a chance to see many of the sport’s all-time greats during a green carpet parade on Friday April 14. As part of the 40th anniversary celebration of the World Championship first being staged at the Crucible Theatre in 1977, the green carpet parade will feature former World Champions as well as a host of players competing in this year’s tournament, which starts the following day. The green carpet parade will run from 5pm to 5.50pm, through Tudor Square and finishing at the Crucible itself. 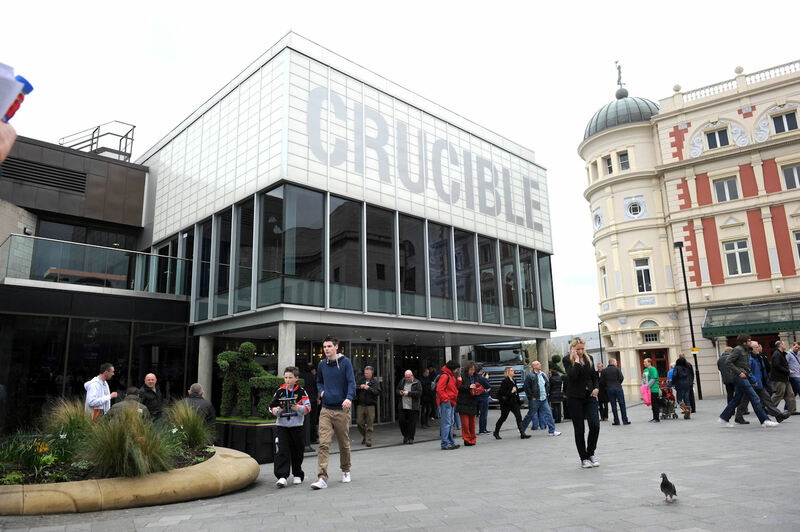 At 6pm, the special show marking the 40th Anniversary Celebration of Sheffield’s World Snooker Championship will take place at the Crucible. Staged by World Snooker and Sheffield City Council, the show will be a mixture of live interviews with these green baize greats, and archive footage of the most memorable moments of the past four decades of snooker’s biggest tournament. Councillor Mary Lea, cabinet member for culture, sport and leisure at Sheffield City Council, said: “I’m looking forward to what is sure to be an exciting 40th anniversary year of World Snooker here in Sheffield. “While the championship is always a huge event for the city, and is indeed one of the most important events in our major events calendar, this year will be extra special – not least due to this celebration event at the Crucible. Book fast – tickets for this unique show will cost just £20. A donation from the ticket sales will be made to Bluebell Wood Children’s Hospice. The green carpet parade is free for fans to attend.